Have you ever Googled something like “finding an endodontist specialist near me without insurance?” Few things are more painful than the kind of serious tooth infection that requires a root canal, but most dental specialist endodontist offices are only open a few days a week. What’s more, many people think that they can’t find an endodontist specialist who will perform a root canal with no insurance. This is not true – there are actually many root canal dentists that will work with patients’ financial needs and even offer no-interest payment plans if necessary. If you don’t know where to find a no insurance endodontist or how to find one that’s open on holidays, weekends, and evenings, don’t waste time going through every search result for “endodontist near me.” Just call our toll-free number at 1 (888) 420-6826. Our courteous, professional, and highly-trained referral specialists are available any time of the day, any day of the week, and any week of the year. We partner with root canal dentists and endodontists all across the United States to provide you with great care at exactly the moment you need it. We’ll even handle the appointment for you and make sure that you can find a no insurance required endodontist if that’s what you need. An Endodontist may be referred to as a root canal specialist. Endo is a Greek word that means “inside,” and n endodontist is a special type of dentist who is trained to repair or replace the inside of a damaged tooth. This type of practitioner is an important addition to any dental practice, and there are a variety of endodontists listed on the EmergencyDentistsUSA.com website who can help you treat your damaged tooth. A root canal specialist near you has the same training that your regular dentist has, along with two or three years of specialized training in endodontic therapy. An endodontist also has access to more specialized equipment that is utilized during your root canal treatment. These items might include 3D x-rays of the affected tooth and a surgical microscope to provide the endodontist with the most precise view of the tooth he or she is repairing. The endodontist also has a long history of treating patients with root canal therapy, making this type of dentist an expert in this field of dentistry. Some of the advantages of choosing an endodontist to repair your damaged tooth include the more advanced equipment, a higher success rate when it comes to treating a more difficult tooth repair, a higher level of diagnostic skill that makes it easier to ensure that your root canal is absolutely necessary, and fewer appointments. Since an endodontist is a specialist in root canal treatments, he or she is usually faster at treating this type of problem. Your dentist and root canal specialist might also be able to anticipate and treat your pain much more quickly than a dentist who has less experience with root canals and their after effects. There are many reasons that a person might not have dental insurance, or that their dental insurance may not cover a treatment involving an endodontist (although root canals are almost always covered at least in part.) However, many people will let their lack of insurance or fear of paying an expensive bill stop them from getting the treatment they need. And that’s just not acceptable. You may be weary of a root canal cost with no insurance but don’t let this stop you from receiving care. Infected roots can cause serious damage to the teeth and gums if left untreated. Moreover, cavities and infected/inflamed root canals are one of the most painful experiences anyone can experience. You should never let your finances force you to suffer for long periods of time with teeth that are painful or severely decayed. If you have no dental insurance and need a root canal keep reading to see what you can do. 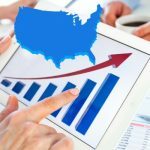 How much does a root canal without insurance cost? The location of the tooth in your mouth makes a huge difference when it comes to the cost of root canal treatment. This procedure is simpler when it is accomplished on a front tooth and becomes more expensive as it affects pre-molars and molars. On average, the cost for a root canal for a front tooth is approximately $762. A pre-molar might cost as much as $879 and a molar is estimated to be about $1,111 depending on where you live in the United States. The cost can increase if there are additional procedures required, such as a crown or a dental implant, and these types of tooth restorations make the procedure more expensive. Emergency Dentists USA offers you a comprehensive listing of endodontists who accept patients who need a payment plan to have a root canal procedure. In most cases, these payment plans are offered with little or no interest, making your root canal procedure easy to pay for, even with no insurance. The root canal cost without insurance might seem like a daunting amount of money to spend. Emergency Dentists USA offers you a great selection of root canal specialists who can treat your dental problem and offer you ways to pay for the root canal that will not break your budget. Learn more about dentists who accept patients with no dental insurance! If your child suffers from cavities, tooth decay, or teeth that seem to be developing abnormally, it may be time to look into finding a pediatric endodontist. Because children’s teeth are not fully developed, they are more susceptible to the kind of trauma and damage that can lead to the need for pediatric endodontic surgery or therapy. And teeth that are still growing may develop abnormalities that can only be fixed by a pediatric endodontist near you. As explained by the US National Library of Medicine, pediatric endodontists perform mostly the same procedures as adult endodontists, but with a particular focus on developing teeth. 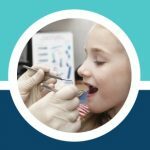 Many pediatric endodontists will choose to perform a root canal for kids, and while this seems scary, these specialists also have special training in order to talk children through what can be an intimidating (but very necessary) procedure. They will provide your child with the best personalized and specialized care available. A kids root canal can be detrimental in assuring their mouth is healthy as they grow and develop their adult teeth in the future. Don’t know where to find a pediatric endodontist near me? Let us help you by calling our toll-free helpline at the top of this page. We’ll set up an appointment at the earliest availability in your area for free! • Severe tooth pain can be caused by a variety of factors, but it is often a sign that you may require a root canal. If the pain gets worse when biting down, eating, or applying any pressure to the tooth in question, it means that the pain is most likely the result of infection, inflammation, or damage deep within the roots of the tooth. And who specializes in the inside of the tooth? Endodontists. • Sensitivity is another sign. Many people have sensitive teeth that react strongly to hot or cold temperatures – it can be a symptom of a great many different causes. What separates sensitivity that requires an emergency endodontist from other types of tooth sensitivity is that the former lingers for quite some time after the hot or cold element has been removed. Sensitivity cause by, say, a new filling usually dissipates almost immediately. • Painful, swollen gums are another sign that you may need an emergency root canal, but ONLY when combined with the other symptoms. If the gums are the only thing that are causing you pain, you probably need a periodontist (gum disease specialist) instead. Learn more about getting in touch with a periodontist here. Even if your symptoms don’t seem to have progressed to the point of needing an emergency endodontist, you should know that waiting weeks or even months to have your painful tooth repaired also influences the COST of the root canal. When a tooth is severely decayed, the tooth repair often requires additional services like a crown or a dental implant. In some cases, the tooth might not be strong enough for a root canal and may require an extraction. All of these procedures will cost extra, with or without insurance. If you are feeling any symptoms listed above you may need an emergency root canal. This is a time sensitive situation so it’s best not to put it off and get help right away. Our services can find you an emergency endodontist for your root canal emergency, even if you have no insurance. Emergency root canal treatment is vital to make sure your mouth stays healthy so don’t let costs or lack of insurance keep you from finding an emergency dentist for your root canal. The tooth is actually made up of three layers – the hard enamel, the dentin (a secondary layer of protection), and the center of the tooth, which is known as the pulp. The pulp is soft and contains blood vessels, nerves, and the tissue that surrounds the root of the tooth. When a tooth infection reaches the pulp, it often becomes very painful. A root canal is a dental procedure that removes this type of infection. First, the root canal endodontist will take an X-ray of the tooth to examine the damage. Then, they will make a small hole in the surface of the tooth, clean the interior, and remove the infected tooth. The tooth is then filled with an inert material called gutta-percha, a rubber-like filling that bonds to the tooth and fills the space where the infected tissue was. The use of gutta-percha seals the canals of the root to avoid continued decay if possible. Following this, the endodontist may decide that some form of tooth restoration, such as a crown, is necessary so that the altered tooth looks and feels exactly like any other tooth. You will want to visit an endodontist for root canal treatment as opposed to a general dentist. As we mentioned, an endodontist has 2-3 years of extra schooling to specialize in treating the inner tooth. A root canal dentist or endodontist will be able to provide you with the best treatment. Our services at Emergency Dentists USA can help you quickly schedule an appointment with a root canal surgeon. An endodontist is a dental practitioner that has completed an additional two or more years of training to specialize in procedures relating to the interior of the tooth. The most common of these procedures is what’s known as a root canal treatment, which is when inflamed or infected pulp from deep inside the tooth is removed. Endodontists are considered experts in saving teeth – they usually remove damaged or infected tissue so that the tooth doesn’t have to be fully removed. What is a root canal dentist? A root canal dentist is simply another term for an Endodontist. These practitioners may also be known as Root Canal Specialists, because they perform an average of 25 to 30 root canals a week. What is the difference between a pediatric endodontist and an adult endodontist? Pediatric endodontists mostly perform the same types of procedures as an adult endodontist, but they specialize in working with children. A pediatric endodontist will put extra effort into making their patients feel comfortable with the procedure and will work to make sure every child receives personalized care. Pediatric endodontists usually focus on cavities and root canal treatments just like adult endodontists, but they also work more frequently with treating traumatized teeth and developmental anomalies. Childrens’ teeth, which have not fully developed, are more susceptible to trauma and may develop abnormalities while they’re still growing. Pediatric endodontists near you are more qualified to deal with these issues than anyone. How much are endodontist fees? The cost varies depending on the number of teeth affected, the location of the tooth or teeth, the amount of infection that needs to be removed, and other factors. Usually, an endodontic procedure costs somewhere between $600 and $900. Is a root canal extremely painful? No, most root canal treatments are much less painful than the actual pain associated with the infected tooth. Endodontists are trained to keep you comfortable throughout the procedure and work to ensure that you are as pain-free as possible. A root canal treatment is necessary when the soft interior pulp of your tooth becomes infected. This occurs when the tooth has a crack, is damaged due to trauma to the tooth, or decays beyond the point where a simple filling can repair the tooth. Are root canal procedures painful? This is a common misconception, but root canals are no more painful than any other dental procedure because the endodontist will use a general or local anesthetic. In fact, a root canal treatment is often less expensive and less painful than choosing to remove the decayed tooth and replacing it with a dental bridge or a dental implant. Root canal treatment requires less time to heal along with less pain management than a typical extraction with a dental restoration to follow. Your surrounding teeth are also protected from strain and excessive wear when a root canal is accomplished, reducing the possibility that those teeth will become damaged and start experiencing pain. How much does a root canal cost without insurance? The average cost of a root canal without insurance is between $760 and about $1,200. This cost varies due to the location of the tooth in your mouth, the condition of the tooth, and whether or not the tooth has been repaired in the past. Are there dentists who perform root canals for patients without insurance? Yes, many dentists and endodontists listed on Emergency Dentists USA offer low-interest or no-interest payment plans for patients who require a root canal. 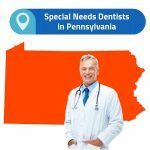 Simply scroll through the convenient listing on EmergencyDentistsUSA.com to choose a great dentist or endodontist with payment plans to suit your budget. Are there complications associated with root canals? Yes, although complications are not common, there are some complications associated with root canal therapy. These types of complications include infection as a result of treatment that is incomplete, bacteria that is resistant to the root canal treatment, and even broken dental instruments that require removal by an endodontist. 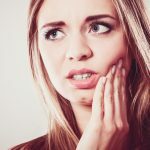 We hope that, after reading this article, you no longer find yourself frantically Googling “root canal dentist near me” or “endodontist near me.” When you call our 24-hour toll-free number, we can easily connect you with professional root canal treatment that is available with or without insurance. So call now – we’re available 24 hours a day, 7 days a week, 52 days a year. Do I Have an Exposed Tooth Root?